Coffee has many benefits. Scientist Recommend 3 - 4 cups of coffee daily. 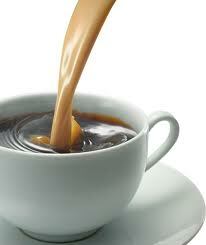 Another study provides new evidence that drinking coffee may help prevent type Two diabetes. The scientists fed either water or coffee to a group of laboratory mice commonly used to study diabetes. Coffee consumption prevented the development of high blood sugar and also improved insulin sensitivity in the mice, thereby reducing the risk of diabetes. Coffee also caused a cascade of other beneficial changes in the fatty liver and inflammatory adipocytokines related to reduced diabetes risk. Additional lab studies showed that caffeine may be "one of the most effective anti-diabetic compounds in coffee," the scientists say. My family is diabetic and I heard its hereditary... I am actually afraid to be one also. This information gives a little relief because I drink a lot of coffee. btw, is there any specific coffee?